Maxi Magnesium Powder™ is made from magnesium citrate. While there are many forms, it has been found to be the most absorbable. 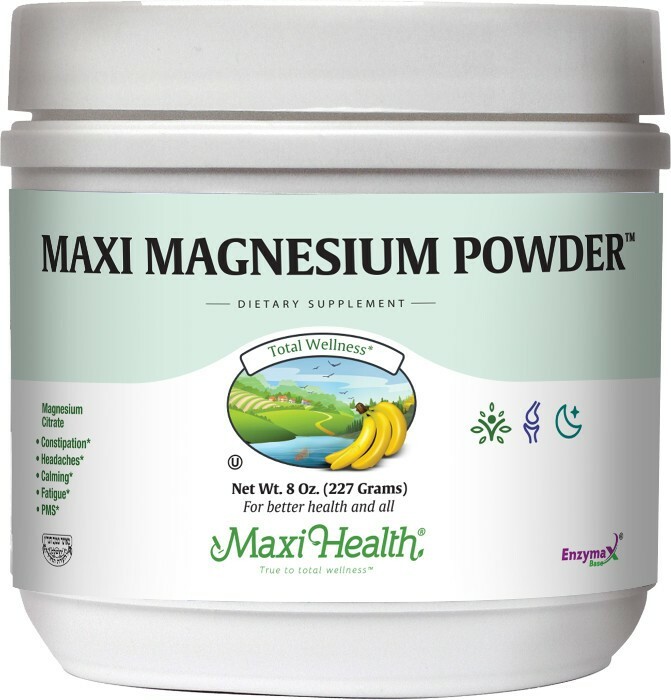 Get the magnesium you need by taking a pleasant tasting drink you mix using Maxi Magnesium Powder™! Mix one (1) scoop (½ teaspoon) to water or juice once or twice daily with meals or as directed. Drink quickly. Other Ingredients: Stevia rebaudiana extract, Enzymax® (calcium carbonate, bromelain, papain, lipase, amylase, protease, silica).